Memorial Day is celebrated each year on the last Monday of May to honor all the men and women who have lost their lives in the armed forces. As the days get longer and the harsh winter weather recedes from memory, the long Memorial Day weekend is a great time to get away for a few days and enjoy the start of summer. You can take your pick from a wide range of getaway ideas depending on your personal preferences - choose a beach location like Portland, Martha's Vineyard or Biloxi or head inland to enjoy outdoor pursuits in wonderful places like Coeur d'Alene, Bend, or Canyonland National Park. There are also several interesting and educational city breaks for foodies and culture vultures. 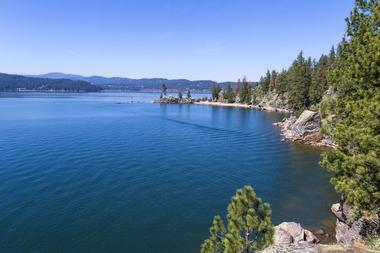 Conveniently located in northwest Idaho, Coeur d'Alene is a picturesque lakeside city that offers visitors several outdoor recreational facilities, including a large selection of water sports on Lake Coeur d'Alene (and on several additional lakes located within a short drive). You can get to grips with kayaking, stand-up paddleboarding, and fly fishing or pull on your hiking boots and hit some trails in the Coeur d'Alene National Forest. Other outdoor activities include cycling, mountain biking, and golf. The city also has an indoor water park that the whole family will love. If you want to add some culture to the bag, you can visit the Museum of North Idaho to learn about regional history or join the Downtown Art Walk. St. Paul, the capital of Minnesota, is stretched along the eastern bank of the Mississippi River close to its confluence with the Minnesota River. 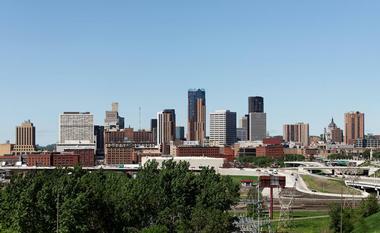 St Paul adjoins Minneapolis, forming the Twin Cities. St Paul is home to the interactive Science Museum of Minnesota, known for its dinosaur skeletons and high tech immersive theater. The best place to learn about Minnesota’s past is the Minnesota History Center, featuring diverse interactive exhibits, and not far from the center is the ornate beaux arts Cathedral of Saint Paul. The Minnesota State Capitol features elaborate paintings of scenes from the Civil War. Como Park Zoo and Conservatory offers a home to various wild animals and its gardens and children-friendly attractions are a delight to explore. Chincoteague Island is a beautiful 7-mile-long barrier island off Virginia’s Eastern Shore and is Virginia’s only resort island as well as a place where you can hunt for your own dinner on its famous clam shoals and oyster beds. 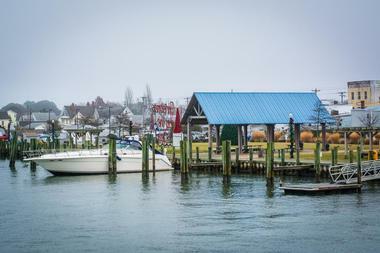 You can walk along the miles of long sandy beaches, watch beautiful boats in the charming Chincoteague marina, or go searching for the famous wild ponies in the island’s interior or along the beaches. Visit the historic Assateague Lighthouse, which was built in 1867, take a bike history tour of the island, and learn about the place and people who wrote its history. Enjoy fresh seafood in one of many restaurants, take a boat tour to see the island from the water, and stay in one of many beautifully restored Victorian bed and breakfast inns. 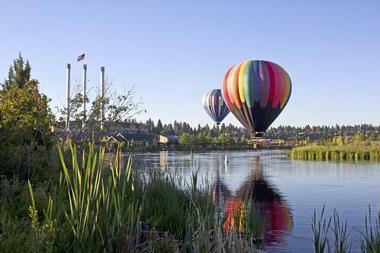 Nature lovers and outdoor enthusiasts simply can't go wrong when choosing Bend, Oregon, for their Memorial Day getaway. The city is perhaps best known for winter sports, but there is also a wide variety of enticing summer activities on offer. Hikers have many brilliant trails to choose from ranging from under 2 miles to over 11 miles, all set against stunning mountain and lake backdrops. Beer lovers may like to attempt the Bend Ale Trail, where your hiking efforts are rewarded by regular beer tastings. You can keep the entire family busy exploring lava tubes, caving, kayaking, and playing mini-golf. In addition, the Sun Mountain Fun Center provides hours of indoor fun if the weather is less than perfect. Hood River is another of Oregon's popular winter sport centers that also have a lot to offer spring/summer visitors. If you enjoy getting outside and active, you will find several scenic hiking trails to explore, including the Gorge 400 Trail and the Twin Tunnels Trails, which is also suitable for cyclists. 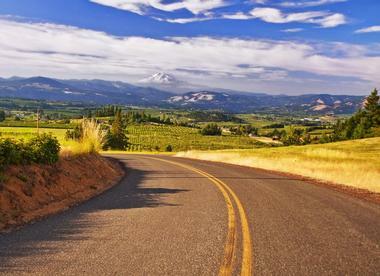 You can take a scenic drive along the 35-mile Hood River Fruit Loop, which winds through acres of apple, pear, and cherry orchards, stopping along the way to stock up on cider, wine, and preserves. Families can have hours of fun at the Waterfront Park, where you can swim, kayak, or try stand-up paddleboarding. If the weather is less than perfect, you can head to the interesting Western Antique Aeroplane and Automobile Museum. There is no better time than the Memorial Day weekend to head due south to Biloxi, on the fabulous Gulf of Mexico. 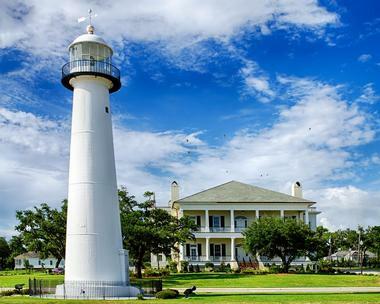 Although the city is known for its many casinos, Biloxi also offers stunning powder-white beaches, several golf courses, a wide array of water sports and both fresh and saltwater fishing. You can learn how to surf, stand-up paddle, or even take scuba diving lessons with one of the several outfitters in town, go hiking or biking in the Airley Lake Recreation Area, or learn about the history of Biloxi on a Bay St. Louis Historical Walking Tour. There are several museums to visit on rainy days and a host of family-friendly attractions for the children. Round off a busy day with a fresher-than-fresh seafood feast at one of the many restaurants. 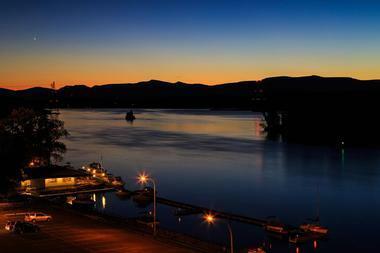 Burlington in Vermont has all the ingredients you need for a wonderful Memorial Day weekend getaway. You can simply enjoy strolling through the city's historic downtown, discovering a wealth of wonderful shopping and dining opportunities, or join a Segway or Brew Tour. Outdoor enthusiasts can go swimming or kayaking at Waterfront Park, take sailing lessons, or hop aboard a sunset cruise. There are also several hiking trails to explore. Once you have worked up a good appetite it will be time to discover all of Burlington's foodie attractions, such as chocolatiers, breweries, and farm-to-fork restaurants. Burlington also boasts a lively nightlife at several live music venues and theaters. Canyonlands National Park in Utah beckons nature lovers and outdoor enthusiasts to come and explore an outdoor wonderland comprising over 300,000 acres of canyons, butts, arches, spires, and mesas. The Memorial Day weekend is an ideal time to visit this desert wonderland. You can spend your time hiking in one of four distinct regions, each of which offers its own surprises. The most easily accessible part of the park is the Island in the Sky, which also offers scenic drives and a 4X4 driving route. 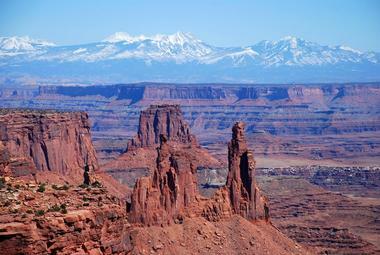 Canyonlands also includes several rivers that offer fantastic rafting adventures on the Green or Colorado Rivers. Camping and backcountry camping options are available if you would like to spend a night or two in the park. The Memorial Day weekend is an ideal time to visit Cedar Rapids in eastern Iowa. The city is proud to showcase its Czech and Slovak roots at the National Czech and Slovak Museum, which features exhibits on the culture and history of the city's 19th century immigrants. 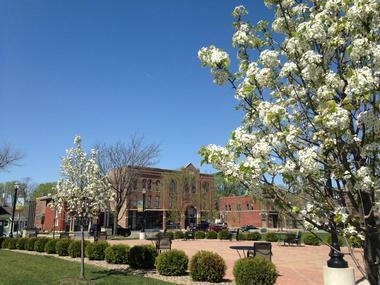 You can also visit the Czech Village - New Bohemia Main Street District to learn more. 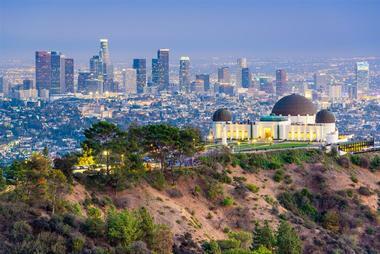 The city offers a surprising diversity of art museums and galleries, theaters, and other cultural activities to enjoy. If you long to get outdoors and active, you can go cycling or hiking along over 50 miles of trails, play a round of golf, or take the kids to enjoy Old Macdonald's Farm at Bever Park. You can make certain you don't waste a moment of your Memorial Day weekend by booking an escape to wonderful Kauai, where the fun never stops. Widely acknowledged as the adventure capital of the Hawaiian archipelago, Kauai invites you to go swimming, snorkeling, and scuba diving along the beautiful Na Pali coastline, or try your hand at a long list of other watersports, including kayaking and tubing. Back on dry land, you can enjoy other adventures such as ziplining, hiking, or 4X4 excursions. There are several beautiful golf courses to entice golfers. while hikers head to Kokee State Park or Wailua River to explore various trails. 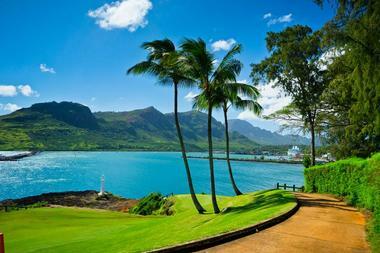 You can get a wonderful overview of the islands on a Blue Hawaii helicopter tour. 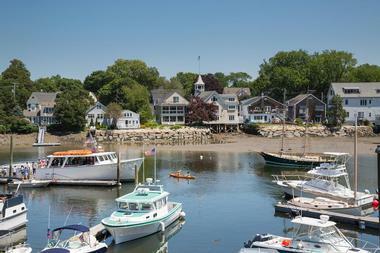 The historic seaport of Kennebunkport in Maine was originally settled back in the 1600s, and the town is chock-full of maritime history and antique charm. If you choose to spend your Memorial Day weekend in Kennebunkport, you can look forward to sampling a host of outdoor activities as well as cultural and culinary delights. To get an overview of the history and culture of the town, you can join one of several guided tours or simply wander around at your own pace to absorb the atmosphere. Outdoor activities include surfing (lessons available), kayaking, cycling, golf, tennis, and relaxing on the beach. After a busy day of exploring you can enjoy some of the freshest Maine lobster available. Nature lovers and outdoor enthusiasts can be assured of plenty of fun activities on a Memorial Day weekend in Killington. One of the most popular activities is hiking - people come from all over the country to hike the popular Long Trail and Appalachian Trail, both of which pass through Killington. If hiking is not your thing, you can take in the views on a scenic gondola ride to the top of Vermont's second highest peak. Other outdoor activities include golf and disc golf, cycling, walking, and birdwatching. 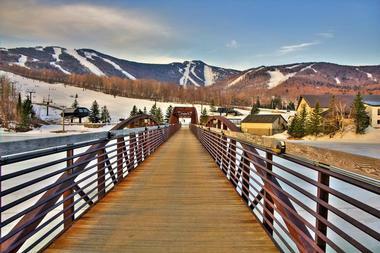 Families can have plenty of fun at the Adventure Center at Killington Resort, while art lovers can visit the Killington Arts Guild on Route 4. 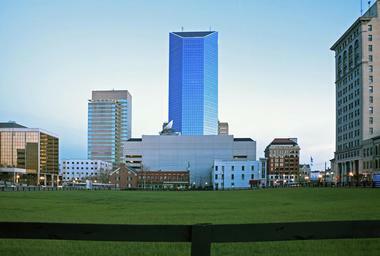 Lexington, Kentucky, is a quintessential Southern town where charm, culture, and great cuisine go hand in hand. Many visitors come to Lexington to see how and where their favorite Kentucky Bourbon is produced, in Lexington's revitalized Distillery District, which once housed Kentucky's very first distillery. Equestrians can enjoy visiting several distinguished thoroughbred farms on a guided tour, while art lovers can spend some time uncovering the city's growing showcase of street art on a self-guided art tour. At the end of a busy day of tours you can visit one of the city's great restaurants to taste genuine Blue Grass Country cuisine based on the innovative use of fresh farm produce. The bustling metropolis of Los Angeles has to feature on everyone's "must see" list and is an ideal destination to visit for your next Memorial Day weekend. The city has something for absolutely everyone, ranging from an expansive network of hiking and biking trails to sundrenched beaches and exciting theme parks like Universal Studios and Disneyland. If you can drag yourself away from the theme parks, you can add a measure of culture by attending the LA Philharmonic at the famous Walt Disney Concert Hall or by visiting fabulous Museum Row. Malibu Beach is the place to soak up the sun and do some people watching, while foodies can sign up for a Melting Pot Food Tour to get a taste of the real L.A.
Mackinac Island would be a wonderful choice for a Memorial Day weekend break. 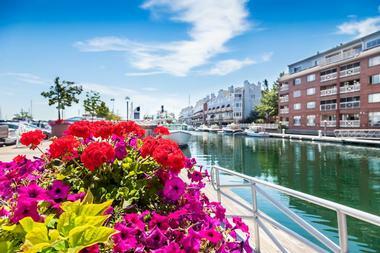 You can reach the island by means of a scenic ferry ride from Mackinaw City and then spend your time exploring on foot or by horse-drawn carriage, bike, or scooter (no motorized vehicles are allowed on this peaceful and idyllic island). 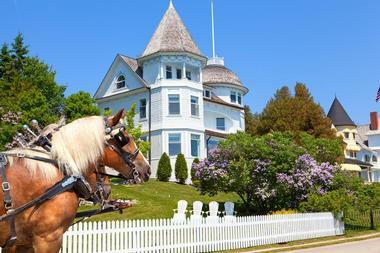 There is plenty to do to keep the entire family busy, including visiting historic Fort Mackinac and Fort Holmes, taking a guided horse and carriage tour, or hiring a bicycle or scooter to explore over 70 miles of paths and trails. You can go hiking in the Mackinac Island State Park or take a Great Turtle Kayak Tour to see the island from a totally different perspective. 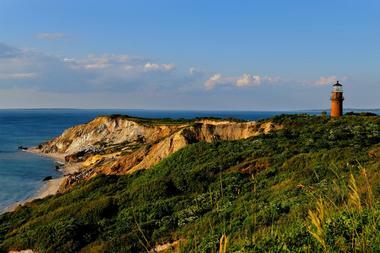 Idyllic Martha's Vineyard is a wonderful island to visit during your Memorial Day weekend. The island is easy to reach by ferry (either with or without your car), and the long weekend will give you lots of time to explore all the attractions. First-time visitors will benefit from going on a private tour of the island to learn about its interesting history and to get inside tips on the best restaurants and attractions. You could also explore the 70-mile island at your own pace using local buses or a bicycle or scooter. There are no less than five historic lighthouses to visit, miles and miles of pristine beaches for relaxation, and a long list of watersports for active visitors. Round off a perfect island day with a dinner or fresh lobster or fried clams. Packed with interesting attractions and activities to keep you busy for at least a week, the Alabama city of Montgomery is a good destination for an active Memorial Day weekend. Outdoor enthusiasts can choose from several courses on the Robert Trent Jones Golf Trail or watch a local team in action at the Crampton Bowl. 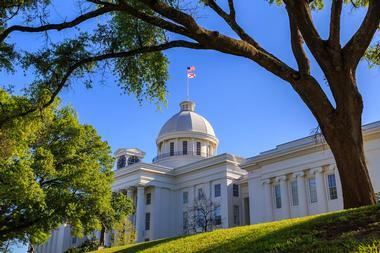 If you are interested in history, you can visit the Alabama State Capitol, Old Alabama Town, and several museums that showcase the history of the state. Art enthusiasts should not miss the Montgomery Museum of Fine Arts and the Montgomery Performing Arts Center. Families can take the kids to see the Montgomery Zoo and the Mann Wildlife Learning Museum. 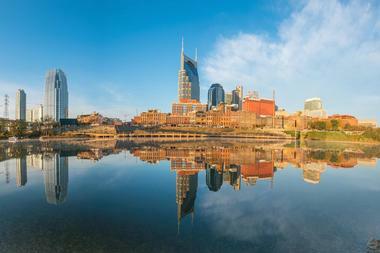 Music lovers with a taste for nostalgia will have the time of their lives on a Memorial Day visit to "Music City" Nashville. You could start your visit at the Country Music Hall of Fame and Museum (to get you in the mood) before moving on to take a tour of Music Row to see where Elvis famously recorded over 200 songs at RCA Studio B. Dedicated music lovers will want to take a backstage tour of the Ryman Auditorium, where you can even record your own song. The above are just a taste of the music-themed delights that await visitors, but music is by no means Nashville's only drawcard. Foodies will be delighted to know that Nashville is earning a reputation as a gastronomic destination where you will be spoiled for choice. The historic small town of Amber in Philadelphia with thrill culture vultures with an assortment of unexpected pleasures, all tucked neatly into an area of just one square mile. The town is chockfull of historic old buildings, including row houses (which were home to the working classes) and ornate Victorian homes that circle the town. It may surprise you to learn that such a small town has an exceptionally vibrant art scene - you can catch a show at the ACT II Playhouse or the beautiful historic Ambler Theater or attend the Ambler Symphony Orchestra. The former Ambler Department Store hosts an Art in the Storefront exhibition showcasing many forms of visual art. The town hosts several annual events and there are a growing number of good places to eat. 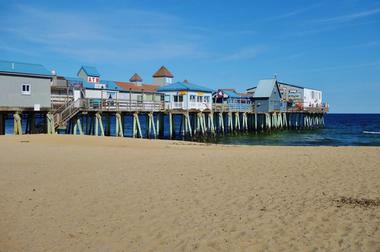 Old Orchard Beach in Maine has been welcoming visitors for over 170 years and would be an excellent choice for a Memorial Day outing. At the heart of the beach lies the Old Orchard Pier, which extends nearly 500 meters out over the pounding Atlantic Ocean. From this historic center point you can hop aboard a whale watching boat, join a birdwatching tour, fish for your supper, or shop, eat, and drink. Close by you will find Beachfront Palace Playland Park, which is always a hit with families. Golfers can play golf nearby while the rest of the family enjoys soaking up the sun or having a go at parasailing and jet skiing. 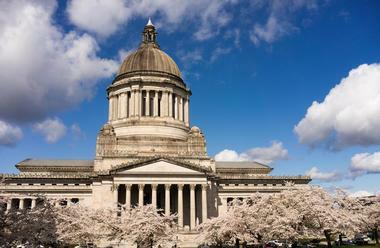 If you love painstakingly made crafts and the idea of locally sourced food and drink, Olympia in Washington could be the ideal place for you to spend Memorial Day. Here, shoppers can look forward to finding a plethora of amazing hand-crafted goods, including everything from locally produced coffee to cheese, wines, beers, and much more. There are several farmers markets to visit, and the streets are lined with one-of-a-kind shops selling many unique items. With all that good food and wine around you may find you need some exercise to balance things out - the area offers good opportunities for hiking and paddleboarding. Coffee lovers should not miss the South Sound Coffee Trail. If the thought of lighthouses, lobsters, and crashing surf sounds irresistible, then Portland, Maine, could be the ideal destination for you this Memorial Day. You can explore no less than six lighthouses within 20 minutes of the city - either join one of the tours that originate in town or check out the Lighthouse Tour Route on the website and explore at your own pace. 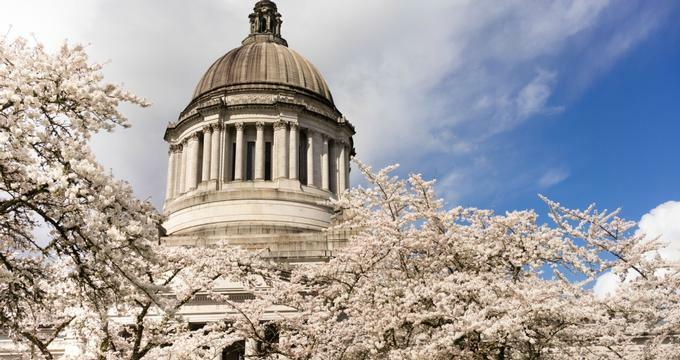 There are many interesting museums showcasing maritime and transport history, and you can also visit several historic homes and the wonderful Portland Museum of Art. Adventure seekers can join a kayaking excursion, learn to surf or paddleboard, or visit a wildlife park. At the end of the day you have a wonderful Maine lobster dinner to look forward to. Travelling to the Redwoods National and State Parks on the coast of California would be a great expedition to undertake on the Memorial Day weekend. 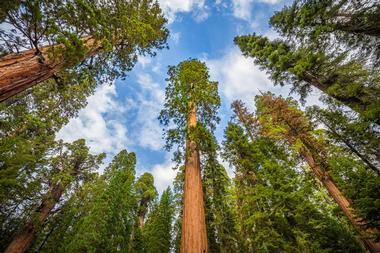 The parks are composed of a string of protected beaches, forests, and grasslands, which are home to some of the world's tallest trees as well as a wealth of wildlife. The entire area is a wonderful playground for nature lovers, hikers, and campers. There are literally hundreds of miles of trails to follow on foot (some are suitable for bicycles) and back-country camping is allowed. If hiking is not your thing, you can choose to explore the park along a scenic driving route. There are docent-led programs you can join as well as some great wildlife watching. 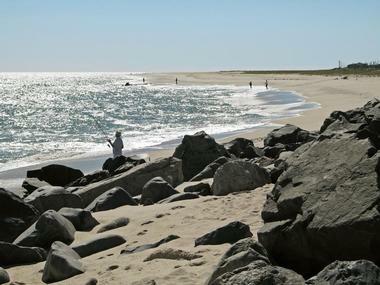 Sunseekers can spend a wonderful Memorial Day weekend having fun on Sea Bright beach in New Jersey. Sea Bright Beach is located south of Sandy Hook on a narrow strip of land sandwiched between the ocean and a river. The beach offers 3 miles of soft sand that is perfect for sunbathing and sandcastle building. The center part of the beach is more commercialized and offers restrooms, restaurants, and lifeguards, while north and south of this area the beach is a lot less crowded. If you would like to try windsurfing, you can head to Sandy Hook (6 miles north), which offers perfect conditions. 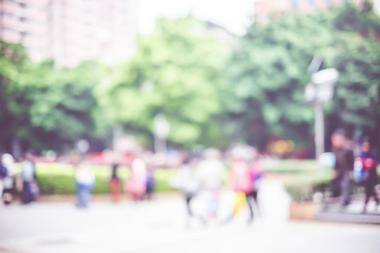 Hudson has something for everyone and its close proximity to New York City means that it is an ideal getaway destination for a Memorial Day weekend break. 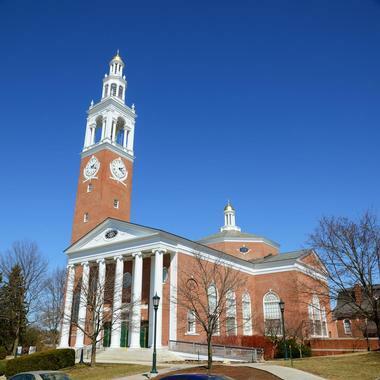 Architecture enthusiasts will find a wealth of wonderful buildings to admire, including examples from just about every major American period - you will find everything from Dutch farmhouses to Queen Anne mansions. Besides the wonderful historic buildings, the town is becoming famous as a foodie mecca, offering numerous restaurants at the cutting edge of farm-to-fork cuisine. For art lovers there are dozens of galleries to explore, while music venues and performance spaces are also plentiful. Antique and bargain hunters will also find themselves spoiled for choice.